The vast collection of geographic data available from ArcGIS Online can be accessed on the web, desktop, and server in additional to mobile devices. Okavango Delta, Botswana, is shown in the Imagery with Labels and Transportation web map, which uses the World Imagery map service combined with two reference layers. ArcGIS 10.2, a full release of ArcGIS, makes it easier to deploy web GIS, the key component for implementing GIS as a platform. ArcGIS Online, a collaborative, cloud-based platform, is the key to this new GIS pattern because it lets members of an organization create, share, and access maps, applications, and data across desktop, server, web, and mobile apps both within and between organizations. With more ready-to-use apps and app templates, ArcGIS 10.2 further enables people to easily build maps that work seamlessly across different devices and reduces the need to create custom applications. This release more tightly integrates ArcGIS Online with ArcGIS for Desktop and ArcGIS for Server. ArcGIS Online also provides access to vast collections of ready-to-use maps and GIS services. Its basemaps and other resources are constantly being updated. For example, the World Imagery basemap, last updated in June 2013, provides one-meter or better satellite and aerial imagery in many parts of the world and lower-resolution satellite imagery worldwide. To ensure that ArcGIS for Desktop users have access to ArcGIS Online capabilities, every customer organization that has ArcGIS for Desktop at any license level—Basic, Standard, or Advanced—and is current on maintenance now receives an ArcGIS Online subscription. The number of named users will be equal to the total number of ArcGIS for Desktop licenses current on maintenance. Maps can be published directly from ArcGIS for Desktop to Portal for ArcGIS and ArcGIS Online. In addition to better integration with ArcGIS Online, ArcGIS 10.2 brings improvements in performance, security, and functionality: additional tools for working with geodata, new analytical and imagery tools, improved access to 3D capabilities, and better mapping and reporting. Performance has been greatly enhanced with the expansion of parallel processing capabilities and optimized file handling. GeoEvent Processor enables real-time GIS for streaming data. It automatically alerts personnel in real time when specified conditions are met. This release adds significant analytical capabilities with 16 new geoprocessing tools that include new conversion tools for Microsoft Excel and JSON and 74 new or modified tool parameters. New tools, like the Optimized Hot Spot Analysis, streamline complex, multistep workflows by determining optimal settings and automatically creating a statistically significant analysis. Now a core product, Portal for ArcGIS can be deployed on an internal network to share maps, applications, and other geographic information. The content is delivered through a customizable website. ArcGIS 10.2 for Server can be configured to work with the Portal for ArcGIS so map and feature services hosted on ArcGIS for Server can be made available to users in an organization through the portal. ArcGIS for Server print and geocode services can also support maps and applications users create in Portal for ArcGIS. Features at 10.2 improve the control administrators have over user behavior that could adversely impact performance, simplify administrative tasks, and make it easier to roll the site back to a previous state. Caching Controller, a new geoprocessing service, manages all jobs being processed by the CachingTools service. It is preconfigured in the System folder. The Caching Controller service prevents a server from becoming overwhelmed when multiple publishers submit caching jobs simultaneously. The maximum number of instances (caching jobs) is specified and any additional caching jobs are queued. To prevent publishers from automatically copying data to the server when publishing, data copying can be disabled using Manager rather than through the ArcGIS Server Administrator Directory. Service Workspaces, a new dialog box in ArcGIS Server Manager, lets an administrator keep track of which folders or databases are being used by site services. Now administrators can make a backup of the site configuration to a single file. This file can be used to restore site settings using new command line utilities or the ArcGIS Server Administrator API. Additional advanced analysis tools for investigating geographic relationships, patterns, and trends within data are available. 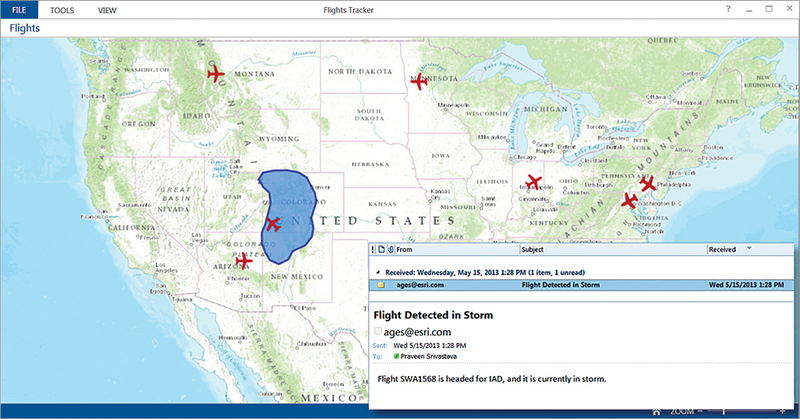 ArcGIS 10.2 can be integrated with business systems such as MicroStrategy. A map service with feature access enabled (i.e., feature service) can be published to ArcGIS for Server from a supported database. Publishing from a geodatabase is no longer required. ArcGIS GeoEvent Processor for Server, a new optional extension to ArcGIS for Server (Standard and Advanced), enables real-time GIS for streaming data. It ingests GPS from mobile devices, social media, and virtually any other type of streaming data, changing everyday GIS applications into frontline decision apps that speed response. Multiple, dynamic events can be monitored, automatically updating maps and databases. From the distance of a delivery truck from a warehouse to the location of a plane in relation to a storm, GeoEvent Processor can automatically alert personnel in real time when specified conditions are met. It integrates these capabilities within modern enterprise IT architecture. Because it makes more analysis tools available, ArcGIS Online extends these capabilities to everyone. Analysis can be performed online and shared as hosted services. Advanced analysis tools have been added to ArcGIS Online, as well as ArcGIS for Desktop, that help investigate geographic relationships, patterns, and trends within data. Premium Content services support more comprehensive analysis with access to large collections of demographic, elevation, and landscape data. New tools in ArcGIS Online include overlay layers that combine two or more layers into a single layer and data enrichment resources for gleaning more information about the people and businesses located within an area, which can be delineated or determined by drive time. 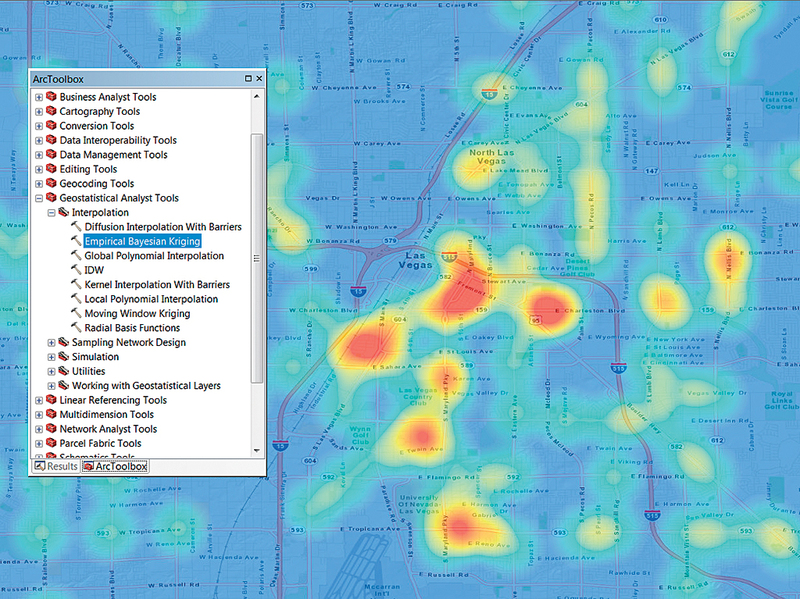 Esri Location Analytics brings ArcGIS tools and methodologies to traditional business analytics systems, combining geographic data on assets, infrastructure, transportation, and the environment with data on an organization’s operations and customers. Most business information contains location information. Customers, assets, staff, and suppliers all exist someplace. Considering these aspects of a business in relation to location provides new insights that can help better meet business challenges, solve problems, or identify opportunities. 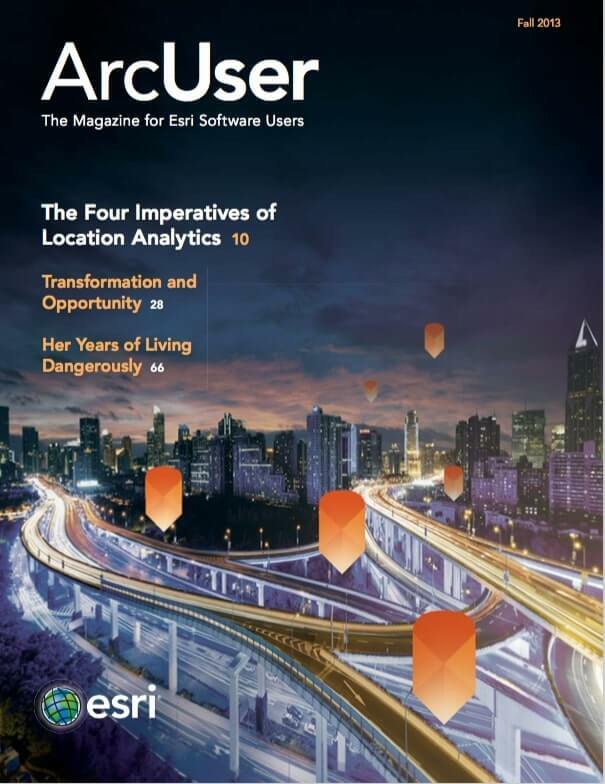 With the addition of ArcGIS Online, organizations can access Esri apps, such as Esri Maps for Office, Collector for ArcGIS, and Operations Dashboard for ArcGIS, that amplify the benefits of Esri Location Analytics. Additional advanced analysis tools for investigating geographic relationships, patterns, and trends within data are availabale in ArcGIS 10.2. Enhanced security for ArcGIS now includes support for Public Key Infrastructure (PKI) and single sign-on authentication. Users can sign in using the user name and password they already use within the organization. With this new authentication capability, ArcGIS Online organizational account administrators no longer need to maintain multiple user credentials for individual application access. This eliminates the need to replicate databases of user credentials for separate applications and systems. Users’ personal information remains with the organization, not ArcGIS Online. An ArcGIS Server security option can force developers to use standardized SQL queries when working with map, feature, image, and Web Feature Service (WFS) services through REST or SOAP. This helps prevent SQL injection attacks and also makes it easier for developers and applications to query ArcGIS Server services. Standardized queries are enforced by default but can be disabled by the server administrator. ArcGIS Runtime SDKs for Qt, OS X, and Microsoft .NET Framework join the existing collection of developer tools. To more quickly and easily create powerful web apps, these and the recently revamped web APIs have been simplified and improved with extensive support that includes many samples, widgets, and templates. This means less code to write. The documentation answers questions from developers at any level from beginning to advanced. Handling of imagery, and 3D visualization in particular, have been dramatically improved with version 10.2. Content generation capabilities from Esri CityEngine have been integrated with the desktop so ArcGIS 3D Analyst users can generate 3D geometries from existing 2D and 3D input features using rules authored in CityEngine. A new capability also lets users publish web scenes. Like web maps, web scenes can be shared and viewed by anyone using just a web browser. Viewers can provide feedback about a web scene using the 3D commenting system. Web scenes can also make service-based requests to geo-coding or other services. It is also easier to find imagery. Previously, desktop searches were based on file format. Now searches for imagery can be based on accessible metadata. The search index can be configured to search specified paths for raster products, mosaic datasets, and items within a mosaic dataset. Search results can be added directly to a desktop map or into a mosaic dataset. Lidar processing is much faster. Better tools, new workflows, and the ability to search imagery improves imagery operations. 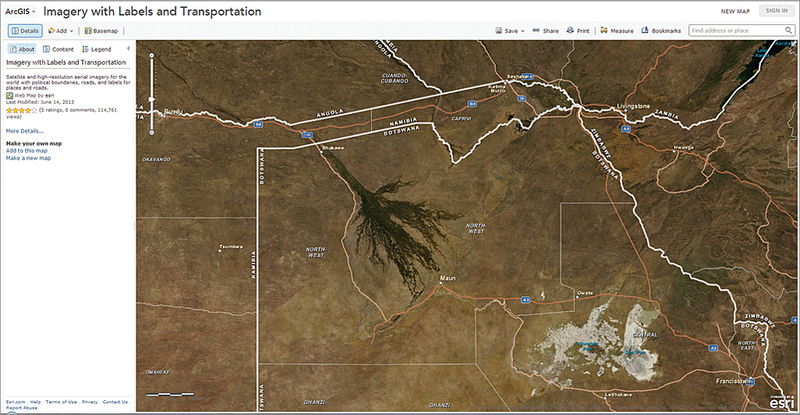 Cached imagery can be uploaded to ArcGIS Online. ArcGIS 10.2 delivers improvements across desktops, devices, servers, and the web that enable the widespread adoption of web GIS. It exploits the cloud and big data and other IT trends. This new pattern makes GIS more pervasive and the work of GIS professionals widely accessible, transforming how organizations operate.